I am so thankful for my clients and followers for their continued support and referrals that I wanted to come up with a way to show my appreciation. And thus the Referral Rewards Program was born. 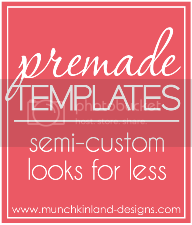 For every client that buys a design package from Munchkin Land Designs, I will send 5% of the cost of the purchased package to the person who referred them to Munchkin Land Designs via Paypal. 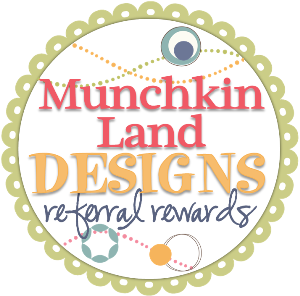 I have added a new field to the Munchkin Land Designs order form asking how they found out about Munchkin Land Designs. At the completion of each blog design, I will double-check the form and send 5% of the cost of the package to the referrer via Paypal. That's right, a cash referral program! 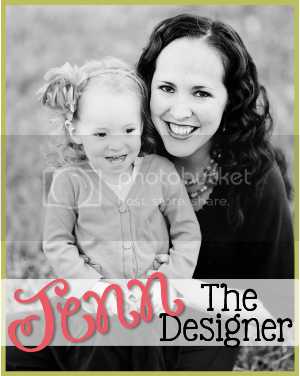 It won't matter whether you make a conscious referral to Munchkin Land Designs, or if they're referred from a blog design. If the client says you referred them, you get 5% of the package cost in cash. I'm really excited to be able to offer this to my clients and followers! Its a small token of how much I appreciate all your kind words. Thank you!